insurance coverage for their small business. We shop liability insurance so you don't have to. Every business needs general liability insurance coverage. It’s a business owners’ first line of defense against third-party liability claims when an accident, mistake or injury happens. Business liability coverage helps protect your business from the unknown. A policy can cover medical expenses, property damage, legal fees, and more, giving you peace of mind and the freedom to focus on what’s really important for your business. Over 35,000 business owners have come to us for business liability insurance quotes. See how we can help your business. At General Liability Shop.com we value being different from other insurance agencies and brokers. We specialize in general liability insurance and we’ve developed unique programs and national markets for placing business coverage. This dedication and focus on business liability insurance has allowed us to streamline the GL quote process, making it very smooth and easy for our business customers. We’re not an online marketing agency or a cookie-cutter website trying to capture and sell insurance leads to other agencies. We’re a national commercial insurance agency with real, licensed insurance agent employed directly by our agency. When you start a quote with us, you get real insurance professionals ready to help your business with liability insurance. Because we’re a national agency helping business owners throughout the U.S., we’ve got access to tons of insurance markets looking to quote business insurance for a wide variety of industries. Our insurance partners know we mean business when it comes to finding the best liability quotes and coverages. More business insurance companies means better rates for your business. At General Liability Shop.com, all we do is commercial insurance. Our laser focus on business liability coverages allows our agents to be Specialists rather than Generalists. You get the benefit of knowledgeable insurance experts that will understand your business and work hard to find you the lowest rates and best coverage options for your business. We make the process of getting general liability quotes and other lines of coverage fast and easy. We know your time is valuable. That’s why we work harder to streamline the quote process, compare rates and coverage, and present your insurance options as quickly as possible—often the very same day. Our technology and partner relationships make speed possible. We may be able to lower your general liability rates and help you buy commercial liability insurance with little or no money down. Our insurance company partners are eager to write more business insurance. Many of them are willing to offer more policy credits and bigger premium discounts than ever before. They’ve also got lower down payments and monthly payment options. Small business owners have a lot better things to do with their time than to spend it shopping for business insurance and trying to wade through all the coverage options, features and benefits. Many owners and managers turn to the internet to avoid confusing sales tactics and long face-to-face meetings with agents, as well as to find the most affordable policy for their business. We’ve worked hard to help our insurance partners develop exclusive small business insurance programs for many common types of businesses. 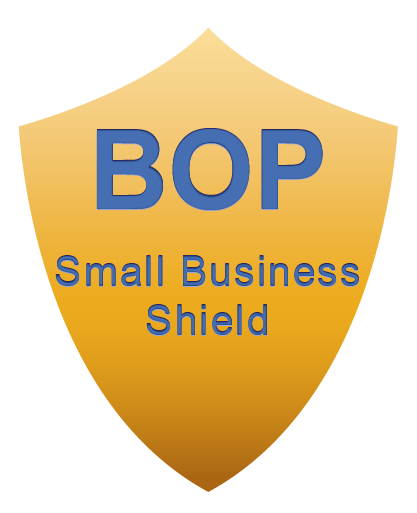 A Business Owners Policy, or BOP, helps many business owners purchase a pre-packaged business insurance policy that already includes the additional business coverages common to a specific type of business. Business liability insurance includes a broad range of insurance products designed to insure against specific types of claims and losses. For example, a general liability policy covers different risks than professional liability (E&O) or auto liability coverage. Technology is great when it works well, but that’s not always the case when it comes to getting business insurance quotes. The upside to getting an instant business quote is that you don’t have to talk with anyone and you might be able to get coverage in less than an hour or so. The downside is you might pay more for your business liability insurance. 1) Online rating systems are proprietary, so it’s nearly impossible to get quotes from more than one or two carriers when you use an instant online rater. And some insurance companies don’t utilize online technology at all, which means you can’t even get an instant insurance quote from them. 2) Online quotes for business insurance don’t typically include policy credits and underwriting discounts available from the carrier. In order to get the very best rates on coverage, an agent generally has to ask for additional credits, and they have to justify those discounts. Are you ready to put our general liability experience to work for you?